Introducing the Vaillant ecoFIT pure 430 Regular Boiler designed using silicone composite high grade aluminium, the boiler’s heat exchanger is a high quality, high efficiency component that makes the boiler not only light to install but also easy to maintain. Furthermore, the ecoFIT pure platform offers a compact solution, and for the first time in the Vaillant portfolio, a rear flue option for convenient cupboard fit installs. 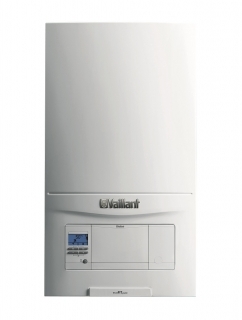 5 year warranty when registered through Vaillant Advance - with the opportunity to purchase up to 10 years. For homeowner piece of mind.